One of the 2014 program songs is a personal favorite. I love this song! For some reason kids seem to be attached to the “rainbow song” but for kids in my generation this was the song. 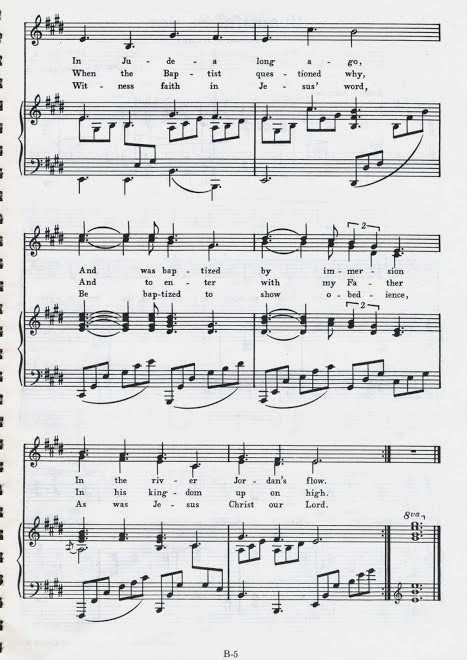 This song, written by Mabel Jones Gabbott and Crawford Gates was THE baptism song. 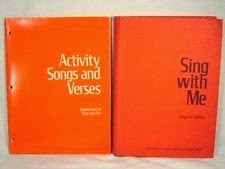 We used this version, from the orange Sing with Me primary book. 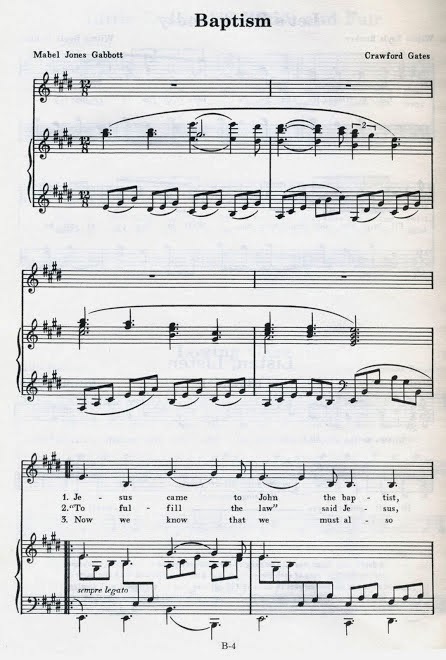 It’s in a different key than the one you find in the newer book but if you have a pianist that can play it, I highly recommend it. I don’t have these to scan and put up for you. Sadly, they have been misplaced. “I DON’T LIKE THIS SONG!”I almost never stop during singing time to do a sharing time. Actually in all the years I’ve ever done singing time I’ve only done this once. (Sharing time is for sharing time and singing time is for singing). I stopped to talk to the primary about this song. I talked about how important it is. How they can learn about the principle of baptism from this song. If anyone ever asks them why we are baptized they have the words of this song to give them the answer. And! I said if you learn this song you will always KNOW the answer to any question about baptism. They won’t even have to think about it, the answer is easy. Just think of the song. So many primary songs convey important gospel principles once learned they provide information, answers and direction for life.